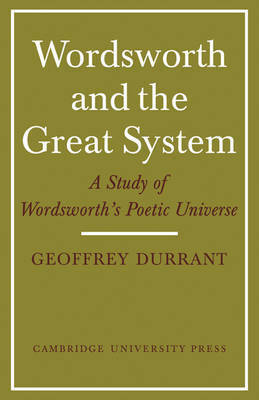 Professor Durrant has two aims in his book, First, he shows that Wordsworth was less hostile to the world-view of the scientist than has been supposed: on the contrary, his poetic vision is from one point of view a translation into terms of feeling and perception of a systematic view of the universe. Second, examination of individual poems reveals a poetic language in which that system is translated into images: star, rock, flower, tree, mountain, cloud, lake, sea. The poems are not sentimental anecdotes, they are 'acts of mind', which turn this world-view into feelings, expressed in a language not far from that of every day. This is inherently a tragic insight; for it sees the individual's consciousness as delight in the natural order, which inevitably brings the death which ends the consciousness. 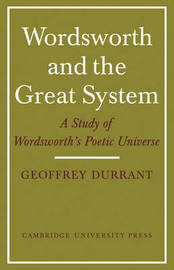 In his great period, from 1798 to 1805, Wordsworth held that vision steadily and whole.